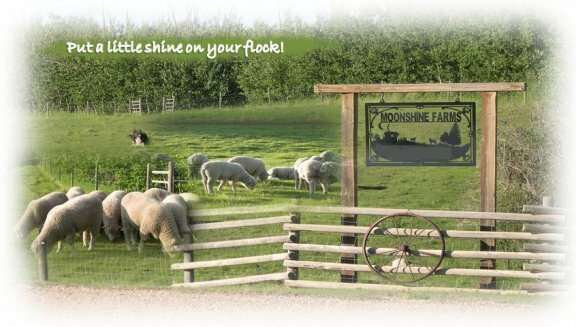 Moonshine Dorsets is located in central Alberta on 160 acres of rolling grassland hills. We are a proud breeder of Registered production polled Dorset sheep. We emphasize on the old style traditional foundation breeds. This farm has been in operation for over 20 years and specializes in the medium-size Dorsets, not the show ring style. Our flock consists of over 80 ewes and are of out of season breeders. One of our goals is to provide top quality breeding stock meaning that the consumer benefits from our commitment to raise sheep with outstanding mothering and milking ability, prolificacy, carcass and muscling traits. We would be happy to welcome you personally to the farm! Add shine to your flock by investing in a premium quality Moonshine Dorset!